Chinese telecom giant ZTE vowed on Friday to fight back against a US order banning it from purchasing and using US technology for seven years, a move that has angered Beijing. The decision announced by Washington this week has clouded prospects for the telecom and phone maker, which depends on US technology such as chips and the Android operating system for its mobile phones. The tough sanctions come as the battle over technology takes centre stage in a US spat with China that has fanned fears of a trade war. Washington has taken particular grievance with Beijing's "Made in China 2025" policy to harbour national champions in technology fields the US sees as critical to its future. In Beijing the action against ZTE will likely heighten fears about the reliance on US technology for critical industries. The order "seriously endangers the survival of ZTE", the company said in a statement Friday, adding "we cannot accept it!" The firm said it would "not give up its efforts to resolve the problems through communication and dialogue, but would also resolutely protect its legitimate rights and interests through all legally permitted methods". The company has one or two months of stored component supplies before the ban will start to impact its business, investment bank CICC estimated in a research report cited by Beijing Business Today. ZTE has halted trading of its shares in Hong Kong and Shenzhen since Tuesday. Washington's control of the company's fate—with roughly 80,000 employees mostly based in southern China—has stirred ire and angst in China, where officials prize stability. "China will pay close attention to the development of the situation and stands ready to take the necessary measures to safeguard the legitimate rights and interests of Chinese enterprises," commerce ministry spokesman Gao Feng said Thursday. "The US's actions are ostensibly aimed at China, but they will ultimately hurt the US itself. It will not only lose tens of thousands of jobs but also affect tonnes of related US companies," Gao said. The options left at the company's disposal are unclear. When introducing the export ban in Washington, a commerce department official told reporters there was no "off ramp" for the company to seek a reversal of the blockade. The export ban followed a five-year US government probe into ZTE's evasion of sanctions on Iran and North Korea, first revealed in March 2016. From January 2010 to March 2016, the company shipped $32 million of US cellular network equipment to Iran, and made 283 shipments of cellphones to North Korea, with the full knowledge of the highest levels of management, officials said. The company pleaded guilty in March 2017 to unlawful exports and was hit with $1.2 billion in fines, the largest criminal penalty in US history in an export control case. 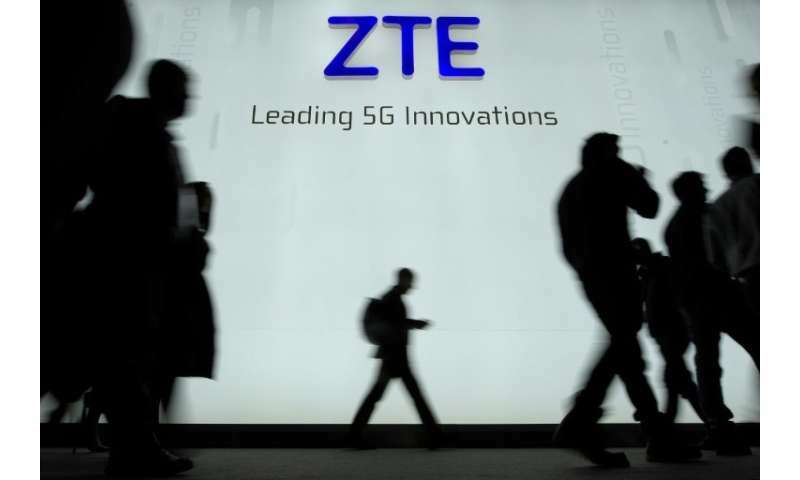 On Monday, Washington said ZTE had failed to follow through on pledges to punish staff responsible for illegal exports to Iran and North Korea.